Let me start off by saying, why has no one ever told me about the developer Rusty Lake? Apparently, this developer has published multiple Rusty Lake point-and-click adventure games, but I’ve never been alerted to their existence. Thankfully, that all changed this weekend and I’ve been playing a ton of their latest game, Rusty Lake Paradise. 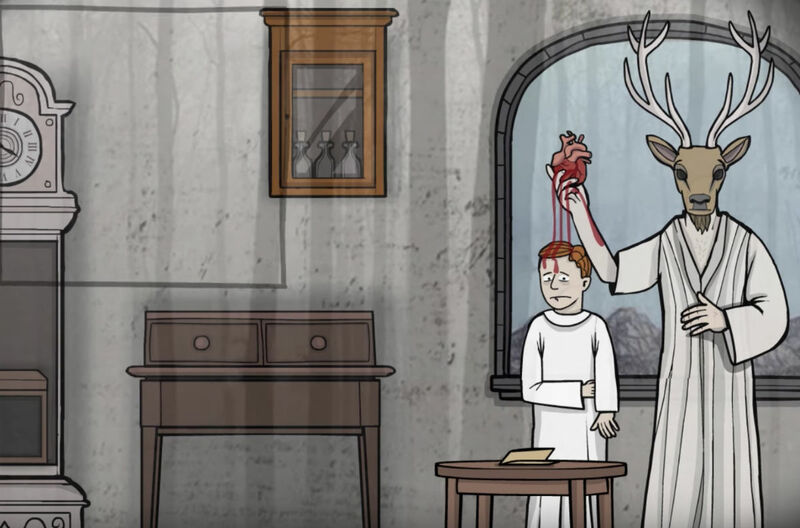 This game, like their other titles, takes place in the Rusty Lake universe, with Paradise focusing on mysterious plagues that have infected Paradise Island. The main character is Jakob, the oldest son of the Eilander family, with the story being that he must find his recently passed mother’s hidden memories and perform “strange family rituals” in order to stop the plagues. While the story itself is intriguing, I love point-and-click puzzle/adventure games and these Rusty Lake titles may be some of the best on Android. A lot of the imagery used throughout this particular universe is rather occult (I’m a fan), so keep that in mind if you’re sensitive to certain things. Other than that, you’ll go through many different scenes, solve puzzles and find hidden items, and hopefully eradicate the plagues. The game costs just $2.99 on Google Play, certainly worth a cup of coffee if you ask me.